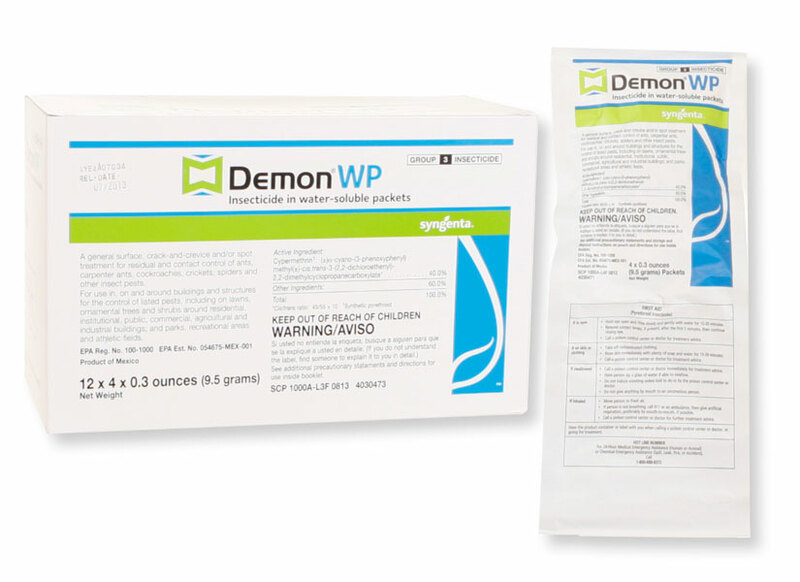 Demon Wp when mixed with Tap Water, needs to be used within 2 days or it will go bad. The minerals, calcium and chlorine in tap water will break the Demon Wp down. So only mix what you need to use. If you find that you have extra Demon left over after you spray, pour it out next to your foundation and then rinse the spray tank out and then fill it with water. Leave the sprayer stored full of water. This will help to keep the hoses and seals moist and hydrated, otherwise the tank will dry out.